I’ve been experimenting with different ways to cook our pumpkins and making pumpkin puree. I really like the roasted pumpkin method that I share here because it brings out the flavor but I would have to say this is my first choice if I’m in a hurry. I love how easy it is to whip this up and I don’t have to puree it afterwards. I’m one of those cooks who hates washing dishes, so I’m always looking for ways to minimize the clean up. My husband who also does some cooking and baking now and then is the complete opposite. He loves his kitchen gadgets and by the time he’s done cooking the kitchen sink is overflowing with dishes. This is a great recipe to get your hands dirty and if your kids are like mine they are always looking for opportunities to do so. Depending on your child’s age you may need to assist them chopping the pumpkin. 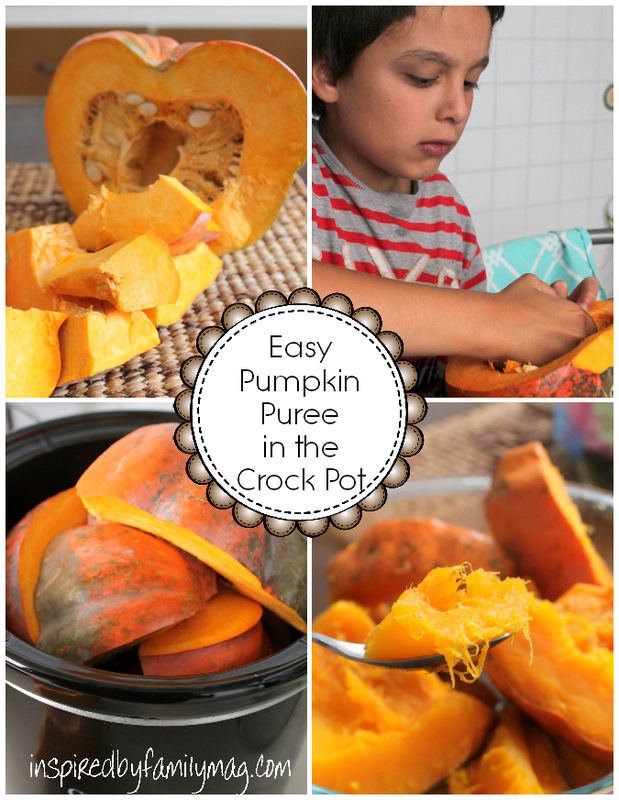 Okay so without further ado, here’s how to make pumpkin puree in the crock pot recipe! 1. Place your pumpkin chunks in the crockpot. 2. Cook for 3-4 hours on high. In my crockpot it only took 3 hours. 3. My pumpkin meat was so soft all I needed was a spoon to remove it off and then I trashed the skin. The smoothness was perfect for me but if you want it to have that creamy look to it you can puree it in a blender with a few tablespoons of water. Note: Store in a sealed glass air tight container, if possible. It will keep for up to one or two weeks. 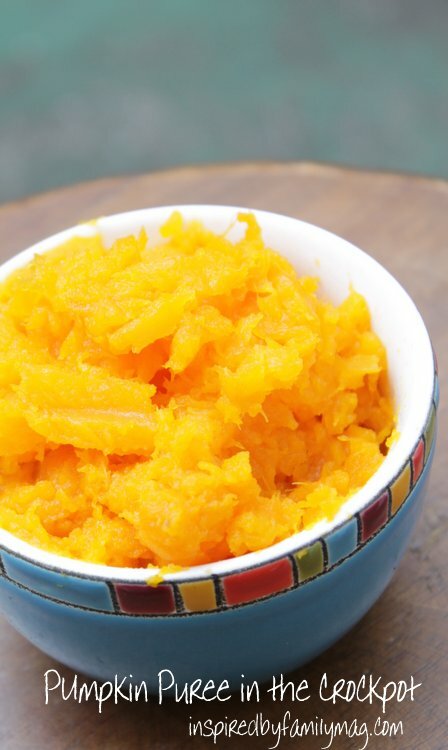 For some great sweet or savory recipes to use that pumpkin puree on go here. This is my favorite though Secret Ingredient Pumpkin Cinnamon Rolls.